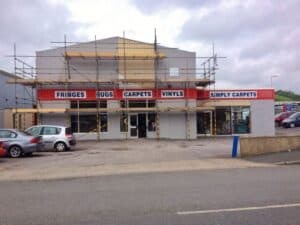 Carpet Binding Plymouth – HALF PRICE! Simply Carpets Plymouth have teamed up with Fringes of Plymouth to come up with an exclusive offer to customers of Simply Carpets Plymouth. Being based in the same unit and both companies owned by the same person, it makes it really quite simple for us to be able to provide the best deals for our customers. After careful deliberation, we have created an exclusive offer for 50% off carpet binding when you purchase a fitted carpet from Simply Carpets Plymouth. After having carpets fitted by Simply Carpets Plymouth, there can sometimes be a little bit of waste carpet left over. These waste pieces of carpets can be the perfect size for a rug or mat in your home. Well you could just put them down on the floor and use them as they are. But you will constantly be fighting with the fraying ends. You could throw them in the bin, but that’s a waste of carpet and money. Alternatively, you could take them to get the edges bound. Now typically if you wanted your carpets bound and they were purchased at any competitor of Simply Carpets Plymouth, then you would be looking at paying the full asking price per linear metre. Luckily, you purchased yours from Simply Carpets Plymouth, therefore you get the binding charge reduced to half price. Whether it’s turning an offcut into a mat or having the sides of a stair running bound to add style and class. Our half price carpet binding Plymouth offer caters for all needs. Do you know anywhere else that you can get half price carpet binding Plymouth? The carpet guide has advice on everything from construction to coloulr so read on….. Choosing carpet has many benefits, and these have only helped its recent popularity. So use the carpet guide to aid you through the process. Of course they include the obvious warmth aspect as carpet is the ideal choice for living rooms, family rooms, bedrooms and other areas where warmth is desired – to insulation, where quality carpet really does provide that extra layer of padding, adding to energy efficiency as well as comfort to your home. Blocking transmission of sound between floors – handy for flats. There is also the design and decoration of a room. Carpet can be the main foundation of most room’s design, mainly because it is available in so many textures and colours, carpet creates numerous of possibilities for decorating. The low cost of carpet offers an financial alternative to other flooring solutions such as ceramic, slate and hardwood, and installation costs are typically less than for hard surfaces. Finding cheap carpets in today’s market that are also long-lasting and remarkably durable is not always possible – be warned, but the addition of a cheap carpet to any room can even disguise existing floor problems and hide other imperfections, such as uneven and unlevelled floors. Carpets can be constructed in 1 of 2 ways – weaving or tufting. Although often expensive, woven carpets are made primarily with wool and are extremely robust. Woven carpets can be produced by hand or by machine yet both methods mostly follow the same technique. The yarn is woven through & around vertical fibres called warps, then locked into place with horizontal strands. Once the yarns are in place, the carpet is dyed using a variety of methods to create patterns or effects. For some carpets; at the final stage the yarn is stretched or the loops are cut. This stage will help determine the carpet’s texture and softness. Carpet also receives a secondary stretched backing, to give it stability and to allow it to be stretched during installation. Some carpets today also receive stain protection during the manufacturing however it is also very popular to have your carpet professionally treated using products such as Staingard which is but just one of the many services offered by Simply Carpets Plymouth. 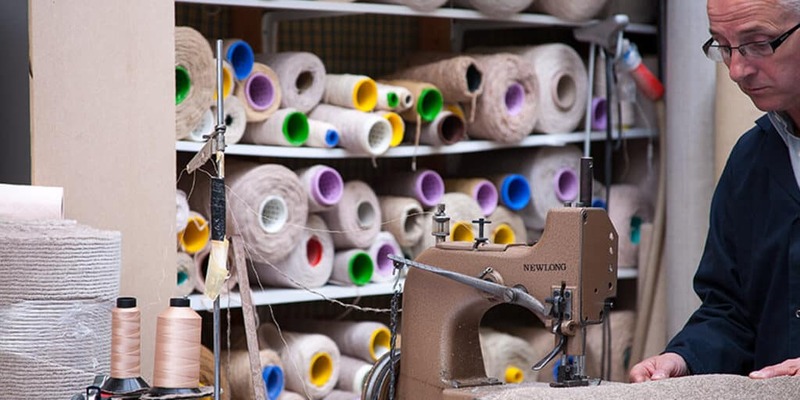 The quality of a carpet will depend on the type of yarn used, and how that yarn is treated during manufacturing. Excluding natural materials, nylon, polyester, wool and olefin are the mostly widely used fibres during carpet construction, and each offers qualities useful in specific applications. Nylon is the most expensive type of fibre, it is also soft and resilient, which makes it great for any room in your home especially high traffic and bedrooms. Its often the choice for parents as man made fibre products have many benefits over natural products as they don’t provoke allergies and dust mites prefer wool to nylon! Here we have a short guide on choosing carpet for your home. To download the full version and see other downloadable content from Simply Carpets Plymouth, please click here. Don’t be afraid to try various different colours rather than the base colour you set out with. Sometimes the best colours are the complete opposite to what you imagined. Patterned carpets can hide every day wear and tear. Perfect for busy homes and offices. Now with a plain carpet, this will show up quite clearly. However, if you have a flecked carpet, stripy carpet or any other type of pattern, this is going to help to mask the accident. Thus, saving you from replacing the carpet at any point down the line. For a lot of people, it’s the price that makes the main difference. It would come highly recommended to find out what kind of price that you’d be looking at for your carpet. Ensure you budget in all other materials such as gripper rods, spray glue etc. The easiest way to create a list for your budget would be to visit your local carpet shop. Underlay and carpet go together perfectly. Of course, you can always opt to go without underlay and have your carpet fitted straight to the floor. This is perfect for a carpet with a felt backing. A budget solution for anyone that wants a quick and cheap fix. If it’s softness and longevity that you’re looking for, you’re going to want a quality underlay. Most materials are soft and most will provide warmth. But it’s the hard wearing factor that you need to be mindful of. Wool and 80:20 carpets are highly durable carpets and soft to the touch whereas some man made carpets boast durability, but not softness. If it’s for a room that you just want longevity in. You want to be looking more towards the man made carpets. You can give a Polypropylene carpet as much abuse as you like and it will just thank you for it. Simply give it a good scrub and it’s back to life. Perfect for high traffic areas including hallways, landings, offices and more. 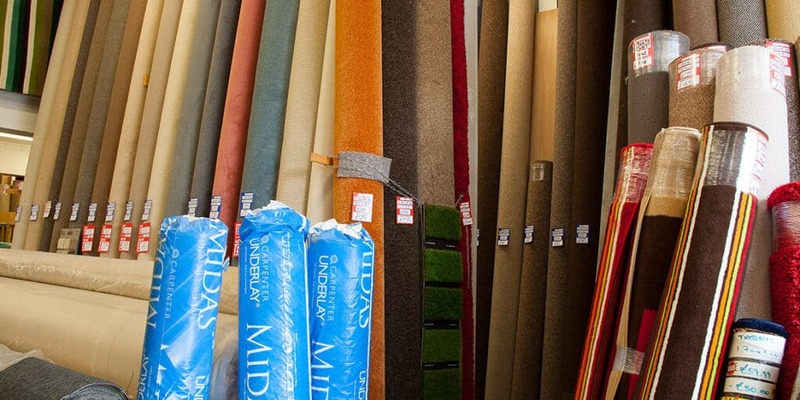 Ensure you do your research when it comes to the different carpet shops. Throw some questions at the staff. You can expect the staff of a reputable carpet shop to have quick and knowledgeable responses to your questions. If you’re feeling confident enough to give it a go, kudos. Here is a guide on how to fit artificial grass. 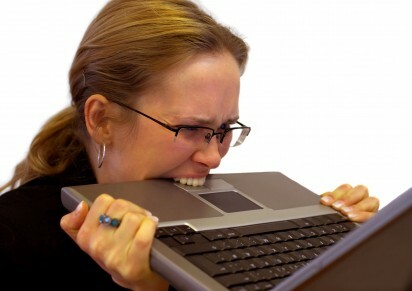 However, if you’re not feeling confident enough, we have experienced fitters that can get it done in no time for you. Please note: this guide has been provided by a manufacturer of artificial grass. This is not written by Simply Carpets Plymouth. If you’re unsure on any part of the guide, please contact us. 1. The existing grass should be dug off & removed. A turf cutter leaves a good clean level base with which to work from. Using marking spray or even rope, lay out the area(s) on the ground, and adjust as necessary. Some areas may already have walls, patios or deck areas which the grass can be laid up against. There are a huge variety of edging systems available such as wood, metal and concrete. Make sure it is secure, and laid to the correct levels along the perimeter. Using either coarse grit or type 1 5mm to dust (preferably type1) level the proposed lawn area over, filling in any undulations or holes and using a vibro plate, compact this initial layer in. 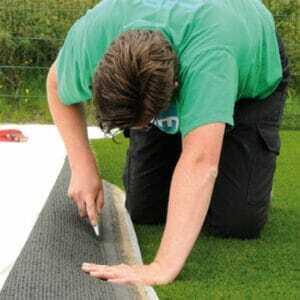 For the final level, blind the area over once again, ensuring the finished level is no more than 5 – 10mm shallower against the edge than the pile height of the artificial grass you are using. You should now be left with a clean level and stable base. The underlay/membrane can now be laid, cut and pinned into position. Your artificial grass can now be rolled out and positioned accordingly. Ensure that there are no creases before you start cutting in. Once positioned correctly, use a sharp knife to cut the grass tight up to the edges. On larger areas it may be necessary to have one, or a number of joins to complete the area. The pile direction of the two pieces of grass should face the same way. The next step is to cut the two faces ready for the join. needs to be done to both pieces being joined. straight cut. This process needs to be completed on both pieces being joined. Offer the two pieces of grass up to each other, leaving a 2-3mm gap between the two pieces (it may be necessary to trim some areas here in order to ensure a neat fit). Once positioned, fold the two faces back and roll out the tape in-between, ensuring an equal amount of tape under each of the pieces of artificial grass. Glue can now be spread along the jointing tape in a zig-zag fashion. Carefully lower each side of the grass onto the tape, ensuring no glue gets onto the grass. See step 6 of how to fit artificial grass. Finally, walk along the joint compressing the glue and joint together. With the grass now laid, cut in and joined (allow the glue to set), if required the area can now be partially sand fi lled using kiln dried sand. Make sure it is spread evenly over the entire area, with a stiff brush (ideally a mechanical brush). This will allow the fi bres of the grass to stand upright and complete the installation. If you are not in-filling with sand, spray the area over with water then brush over the grass with a stiff broom (ideally a mechanical brush) to allow the pile to stand upright. There you have it – a guide on how to fit artificial grass! Once you know how to fit artificial grass you can have the lawn of your dreams. Please remember, this guide of how to fit artificial grass is a guide by Namgrass. The how to fit artificial grass is not created by Simply Carpets Plymouth. If there are any parts of the guide on how to fit artificial grass that you’re unsure on, please contact us. It may have come to your attention that Simply Carpets have scaffolding up around the building. Not to worry – the building isn’t falling down nor is the roof damaged. We’re simply having the exterior of the building repainted and resigned. The paint on the building prior to repainting was an awful cream colour that had certainly seen better days. The red cladding around the building had faded and was way past saving. The only logical route was a complete overhaul. As you can see from the picture, the remnants of the cream paint and the red cladding looks old and dated against the new paintwork. Within the next few weeks the building should be all finished and scaffold free. Meaning more space in the car park too! 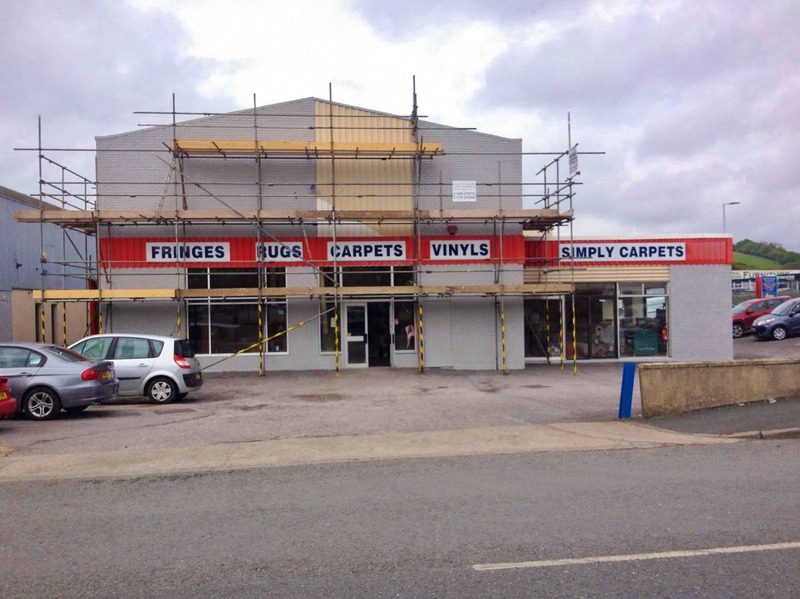 Watch this space for updates, we will post some pictures once the painting work has been redone and the signs put up. It’s safe to say we’re excited as to how it’s going to look. As Summer has set in, so has the demand for artificial grass. At Simply Carpets Plymouth we hold a vast stock of artificial grass to stay on top of the demand. Our artificial grass stock varies to ensure we have something to suit all budgets. You can rest assured that all of our artificial grass stock is of the highest quality. 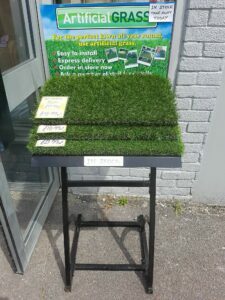 We have artificial grass stock available in various sizes. We can cut it off the roll to your specific sizes, or we can help you to choose which of our artificial grass remnants would be suitable for your needs. It’s this diversity with our artificial grass stock that ensures we are at the forefront of innovation when it comes to artificial grass in Plymouth. Our staff have been working with artificial grass for a few years now. Over this time, artificial grass has completely changed. From being very coarse and feeling nothing like grass, to now being soft and almost like the real thing. During these changes, our staff have been able to follow and study the changes, giving them knowledge about our artificial grass stock. They are able to answer any questions that you may have. We have some of the best fitters of artificial grass in the South West so that you don’t have to worry about fitting it yourself. However, if it’s something that you do decide to do yourself, why not have a look at our fitting guide. Everything you need to know about fitting artificial grass. As you wander around our store, you’ll see signs located around the shop offering you 20% off all carpet remnants. 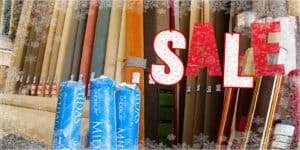 This Chrismas carpet remnant sale will expire on the 31st Jan. Not only are we offering 20% off all carpet remnants, our Christmas sale also includes our vinyl remnants too. If you want to get your home looking amazing before Christmas, and on a budget too, you really don’t want to miss our sale. This vinyl and carpet remnant sale will significantly drop the prices on all of our remnants. Would you like to get a carpet remnant for your room for less than £150? Less than £100, some are less than £50. With plenty for you to choose from, our vinyl and carpet remnant sale will have something for all tastes. From those that are looking for something with a short, tight pile. To those looking for something with a luxuriously long and dense pile. All in stock and ready to take away. As the saying goes “planning and preparation prevents poor performance”. Plan and prepare guys, Christmas is just around the corner and our fitting diary is filling up fast. If you hope to get your sale remnant fitted before Christmas, you need to be quick about it.